Please visit our Register on the PRT programme page for the necessary forms to register as a PRT candidate and RCC Provisional Member. Download and complete the RCC Membership Application form (see the sub-menu item How to complete your membership application form) and return it to the address indicated on the form. Please complete the form according to the guidance provided making sure you append any relevant information. Note that we will be able to identify whether you are also eligible for Specialist Faculty membership and will contact you in this regard. Download and complete the Membership Progression form (see the sub-menu item How to complete your membership progression form) and return it to the address indicated on the form. Complete the form as fully as possible and append any relevant information. Please contact us at admin@rcc-uk.org if you have any questions about completing the form. 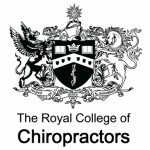 Please read the sub-menu, Applying to join an RCC specialist faculty.